Beetles are fascinating and abundant insects. The group contains some strange members, including carpet, flesh-eating, and trilobite beetles. The larvae of carpet beetles feed on items made of natural fibers, including carpets. Museums use flesh-eating beetles to strip the flesh off animal bones so that the bones can be displayed. The insects are also useful in forensic science. Female trilobite beetles have a flattened body that is covered by segmented plates and reminds observers of the ancient trilobites that once roamed the oceans. Beetles are very successful insects. One reason for this success is thought to be their wing structure. Most beetles (but not female trilobite beetles) have a pair of thick and tough forewings called elytra on the surface of their bodies. When the beetles take off for flight, they raise the elytra out of the way to reveal the more delicate and membranous hindwings underneath, which are used for flying. The elytra help to protect the hindwings from injury as the beetles move over land. Beetles are classified in the phylum Arthropoda, the Class Insecta, and the order Coleoptera. The order contains different families. Carpet and flesh-eating beetles are classified in the family Dermestidae and are sometimes known as dermestid beetles. Trilobite beetles belong to the family Lycidae. 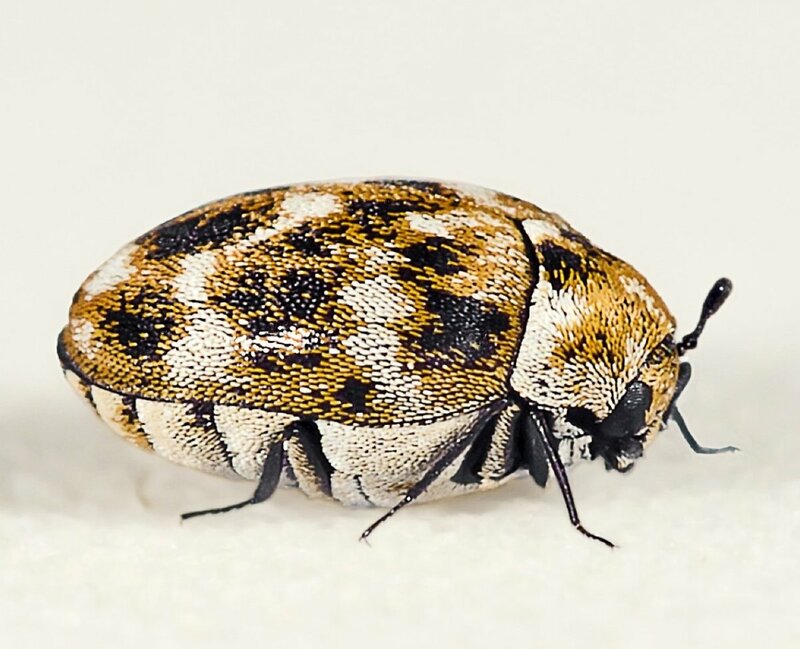 The most common and problematic species of carpet beetles in North America are the varied carpet beetle (Anthrenus verbasci), the furniture carpet beetle (Anthrenus flavipes), and the black carpet beetle (Attagenus unicolor). The common carpet beetle (Anthrenus scrophulariae) may also be a problem in some parts of the continent. The insects can be a nuisance in homes and in museums, where they can destroy not only carpets but also other items made of nature fibers. These items include clothing, furniture coverings, hair, fur, feathers, blankets, and tapestries. The insects may even feed on piano felt. Their habits can be annoying and expensive in a home and a serious problem in a museum when historic materials are destroyed. The four species have similar life cycles and can cause similar damage to materials. The damage is produced by the larval forms of the insects. 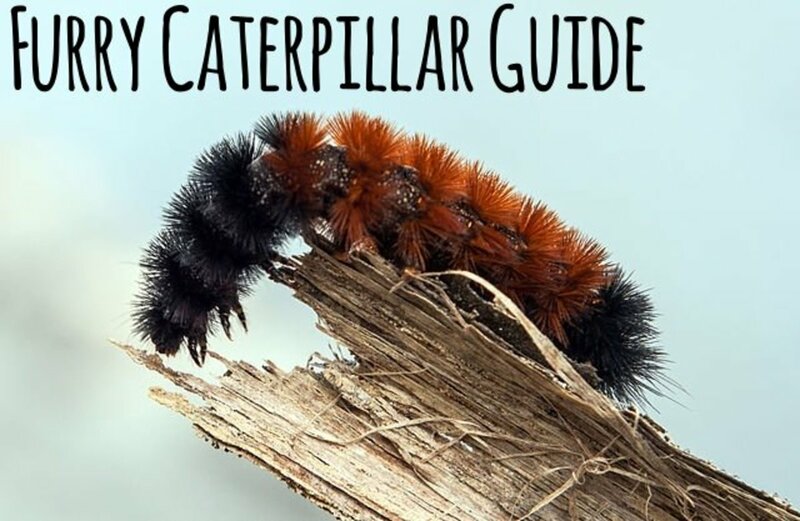 The larvae of all four species of carpet beetle are caterpillar-like. They have brown, segmented, and—to a greater or lesser extent—hairy bodies. The adults of the three species of Anthrenus have an attractive and mottled surface which is variable in appearance. The pattern is produced by scales on the surface of the insect's body. The species are often hard to tell apart. The black carpet beetle is red brown to black in colour as an adult and has no scales. It does have some short and fine hairs on its surface, however. The larva of a varied carpet beetle is hairy, striped, and generally wider in the back than in the front. It also has noticeable tufts of hair at its posterior end. The varied carpet beetle is an attractive insect in both its adult and its larval form. It's found in many countries. The adults are covered with scales that produce a blotched brown, yellow, and white appearance. This pattern often partially or completely disappears as the beetles age because they lose some or all of their scales. Solid brown or black areas appear on the insect's surface as the scales are lost. The scale loss occurs in the other species of Anthrenus, too. 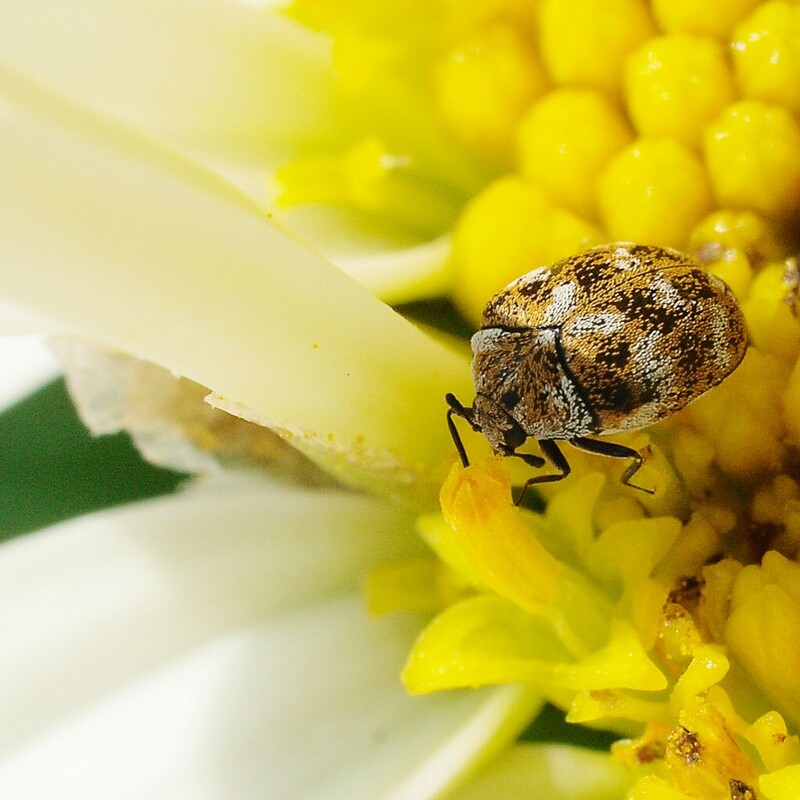 Adult varied carpet beetles feed on pollen and generally aren't pests. They live for only a few weeks. After mating, the female lays her eggs on a good food source for the larvae. Outdoors, suitable sites include bird and insect nests. Indoors, areas with lots of natural fibers or other food items are chosen. The eggs hatch in about two weeks. 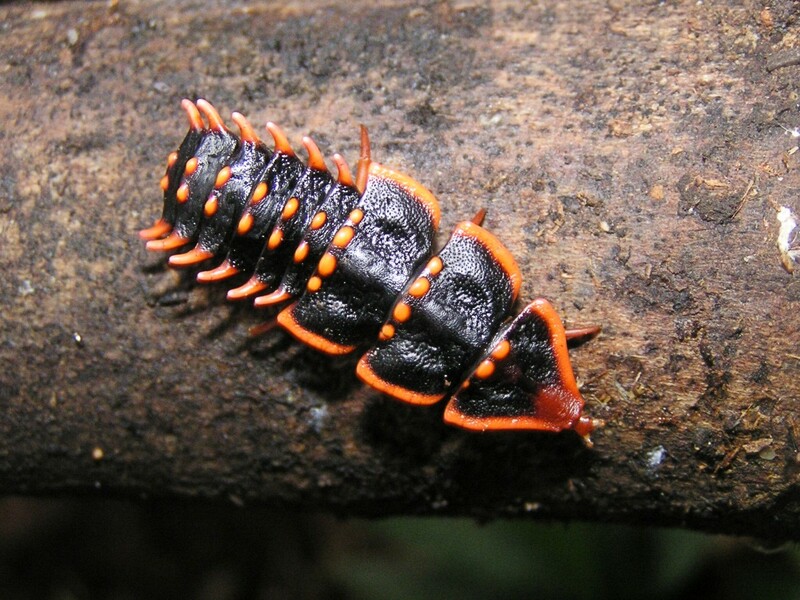 A larva has alternating dark and light bands on its body. It's covered with brown, hair-like structures called setae and looks furry. 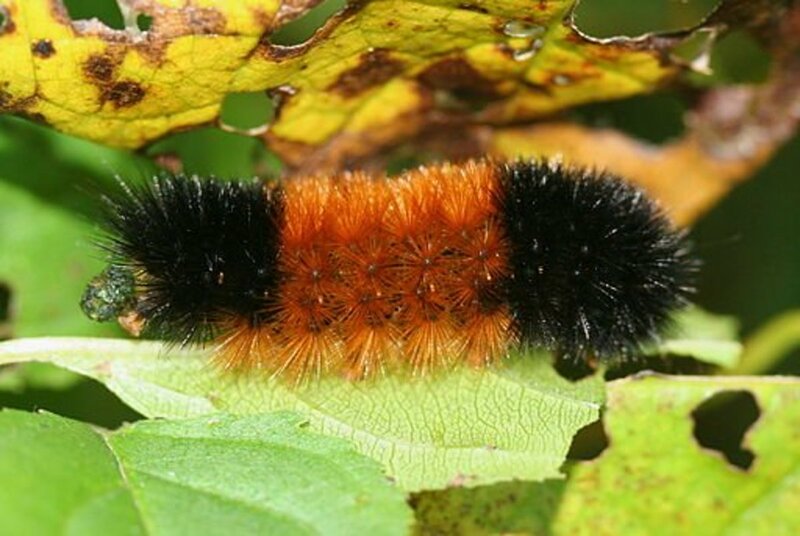 It's often called a "woolly bear". 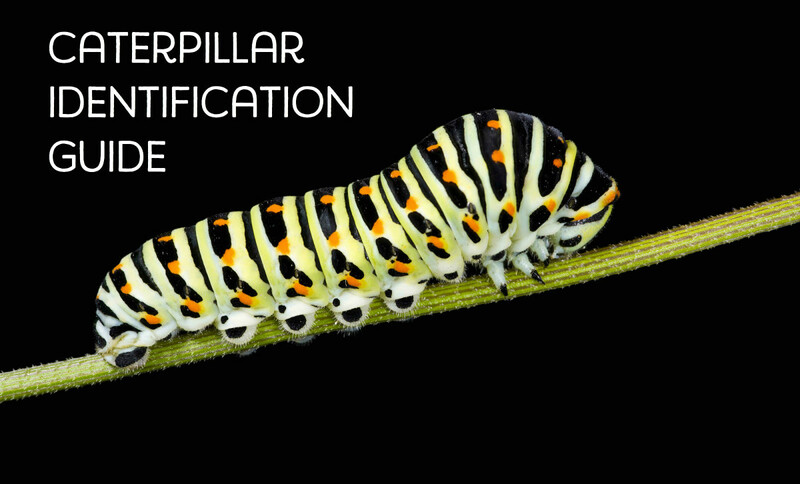 This term is also used for the larvae of some other insects, such as the caterpillar of certain moths. The larvae of varied carpet beetles live for months to more than a year. This could be bad news, since they feed on many different things in our homes. They eat the natural fibers in our carpets, clothing, upholstery, and drapes. Their diet extends beyond these foods, however. They also eat animal hair and skins, leather, feathers, silk, horn, dead insects, other dead animals, dried meat, and pet food. They eat some plant material as well, including ground grains, cereals, and spices. Pest experts say that one of the best ways to prevent or get rid of a carpet beetle infestation is to follow good housekeeping practices. It’s important to vacuum carpets and areas where the beetles hide, such as shelves, baseboards, corners, and cracks. Other places that need to kept clean are the area behind radiators, the spaces inside heating ducts and furniture, and the edges of carpets. It's essential to get right to the back of a crevice with a vacuum cleaner when fighting an infestation. The bag of the vacuum cleaner needs to be discarded after use. Infested clothing needs to be thoroughly cleaned or thrown away. Heating infested items in a hot dryer for an hour or more or cooling them in a freezer for several days can kill the beetles, according to pest controllers. Once it’s certain that clothing contains no beetles, it should be stored in a sealed chest or in carefully sealed plastic bags. A serious carpet beetle infestation may need professional help. The beetles sometimes hide in nearby wasp and bird nests as well as homes, so it's important to watch for new infestations once one has been eliminated. The species of beetle that is most often used to clean skeletons is Dermestes maculatus. This species is sometimes called the hide beetle. It's native to Canada, the continental United States, and Hawaii, but it's also found in Europe and Asia. 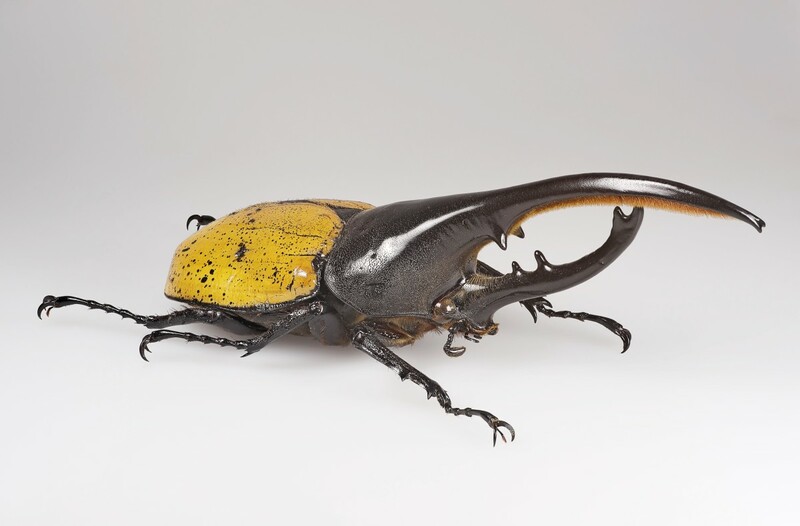 When museums have a mammal or bird body which they would like to "skeletonize" for display, they sometimes place their flesh-eating beetle colony in contact with the body. Both the adults and the larvae eat flesh, but the larvae do most of the work in cleaning bones. The beetles may be used in preference to a chemical method of removing flesh, which can damage the bones. Flesh-eating beetles have to be used with care. Like carpet beetles, they will eat fibers from living things, including paper fibers. They must be kept away from books, wood, carpets, and stuffed animals in museums. The United States Fish and Wildlife Service operates a forensic laboratory. The lab uses beetles to skeletonize partial or damaged animal remains in order to positively identify the specimens. This can be useful in investigations related to wildlife law enforcement. Flesh-eating beetles are also helpful in forensic science, which is used to investigate crimes. The presence of the beetles on or in a dead body can be used to estimate the time of a person's death, for example. The presence of adults, larvae, and the beetle's feces provide significant clues for a knowledgeable person. The recent daily temperatures where the body was found are important, since the time needed for the beetle to complete its life cycle is different at different temperatures. Flesh-eating beetles are offered for sale to the public as “Dermestid Beetles”. People use them to clean the skeletons of dead animals. If the beetles are kept in a home or school, though, they must be contained or kept under control to prevent problems. If they can't find animal flesh they will feed on other material if they can get to it. Trilobite beetles are strange but little-known insects that have been found in the tropical rainforests of Southeast Asia and India. They belong to the family Lycidae and the genus Platerodrilus (or Duliticola in an older naming system). A female trilobite beetle looks very different from other beetles. Her body is flattened and is divided into segments that look like plates of armour. The plates are decorated with knobs and projections and are known as scutes. The head is tiny in relation to the size of the plates and is retractable. The beetle’s appearance reminded early observers of extinct marine animals called trilobites. Some of the females that have been discovered are colorful and beautiful insects. Male trilobite beetles are much smaller than the females and have a typical beetle appearance. The fact that the genders are so different in both appearance and size makes it hard for researchers to recognize that they belong to the same species unless they see mating taking place. According to National Geographic, mating has only been observed (or at least only reported) twice—once in 1924 and again in 1993. 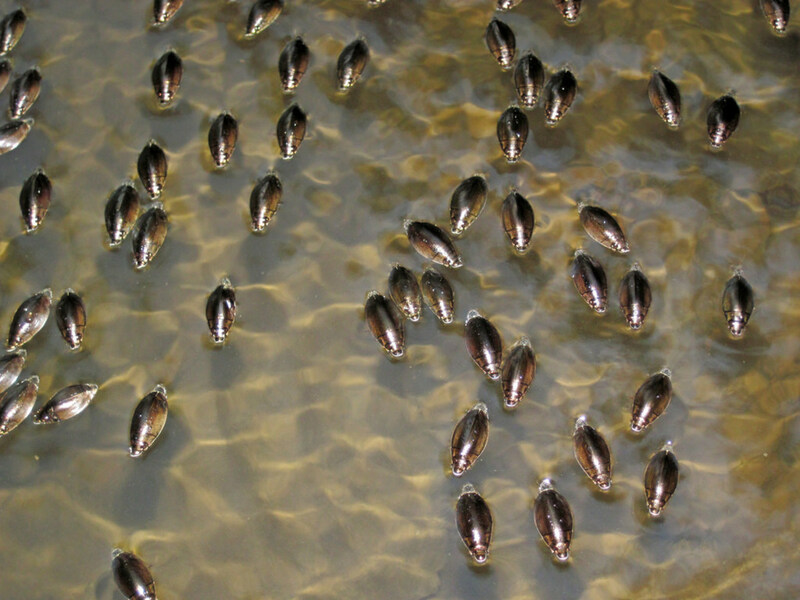 In many insects, the egg hatches into a larva. There may be several larval stages. The final stage changes into a pupa, from which the adult emerges. The adult has a very different appearance from the larvae. Female trilobite beetles stay in the larviform phase their whole lives (although they do molt and grow bigger), a phenomenon known as neoteny. Trilobite beetles are thought to feed on microbes in the plant liquids obtained from rotting wood. This is by no means certain, however. They may survive on fungi and slime molds. They may even be predators and hunt for prey, which may include other insects and snails. 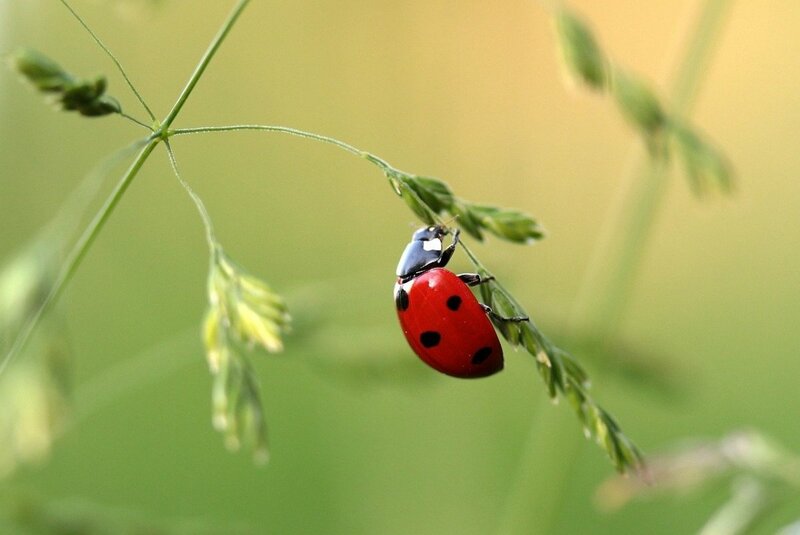 The females beetles don't have wings and explore their environment by walking. Some people claim that trilobite beetles are bioluminescent, which would mean they can produce light inside their bodies. Other bioluminescent beetles produce light when an enzyme breaks down a chemical called luciferin, producing energy as light. They use the light to attract prey or mates or to warn would-be predators that the beetle tastes bad. Bioluminescence in trilobite beetles hasn't been confirmed, however. It's possible that observers are confusing segmented and bioluminescent larvae of other beetles with female trilobite beetles. Scientists have observed trilobite beetles for some time, yet there is still much that is unknown about them. They don't seem to be numerous and they are hard to find. They are strange and mysterious insects. It's been suggested that the brightly-colored trilobite beetle shown above was found just after molting. Nicky Bay takes wonderful photos of insects. He's photographed a possibly related phenomenon in a house centipede. The insect was purple right after it molted, but its color soon faded to light brown. If this situation applies to the beetle, it seems strange that she was moving around while her color was so noticeable, unless she was disturbed. Beetles are intriguing insects and are interesting animals to study. Many affect our lives, sometimes significantly, so understanding their anatomy, physiology, and behavior is important. It's also important that we know how to support the lives and reproduction of useful species and how to control the harmful ones. 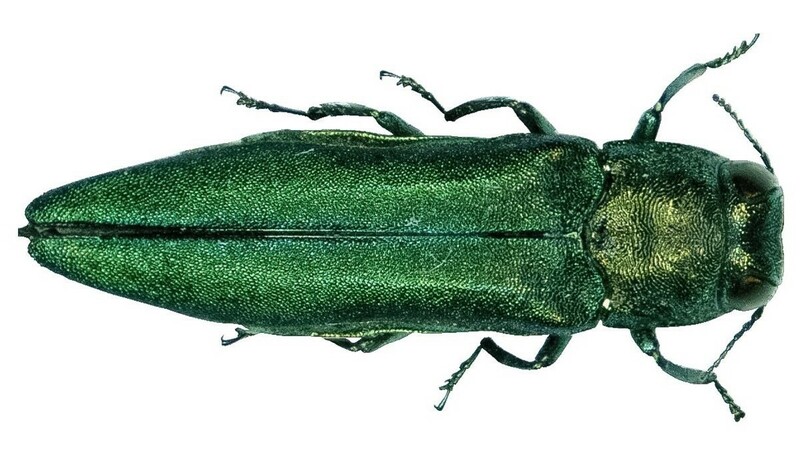 There are almost certainly many more species of beetles still to be discovered on Earth. Perhaps some of them will be as strange as—or even stranger than—the carpet, flesh-eating, and trilobite beetles. Do they feed on live flesh or humans sleeping? No, they don't. Carpet beetles feed mainly on natural fibers, fresh-eating beetles feed on dead but not living bodies, and trilobite beetles feed on items that they find in the wild. Hi, Tina. 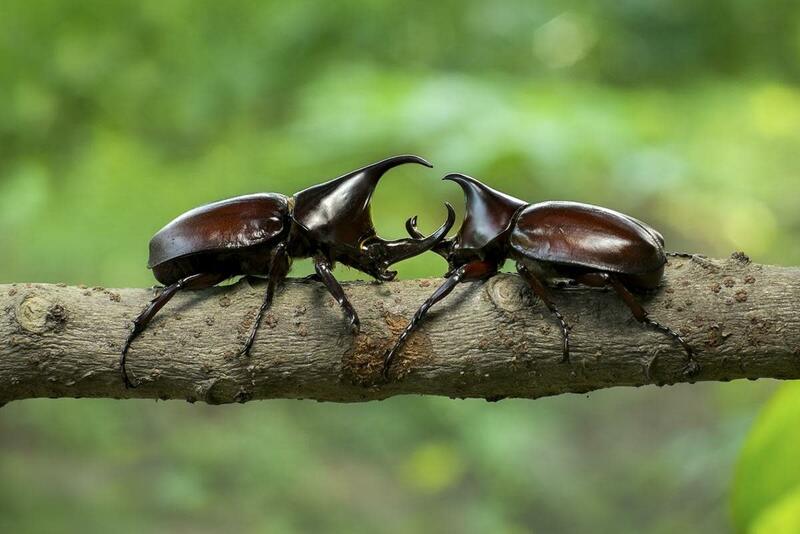 I think these beetles are fascinating too, but like you, I'd rather not have them in my home! Thanks for the visit. Hi, Peggy. I hope that I never find carpet beetles in my home too! Yes, some beetles are beautiful - they don't all have dark colors. Thanks a lot for the votes. Thank you very much for the comment and for the vote as well, Prasetio! Beetles are interesting creatures to write about. Alicia, you have great information here. Actually, I had never know about this before. I just now about "bug" which is live on my carpet. Thanks for completed this hub with stunning pictures and the video as well. Well done and vote up! Thanks a lot, b. Malin. Carpet, flesh-eating and trilobite beetles are strange creatures, but I like just about all animals, including insects! What is it about bugs in general or Carpet Beetles that make us all so squeamish? EVERYTHING. After reading your Wonderful and very Informative Hub, I've certainly learned a lot Alicia, of the good, the bad and the ugly of these STRANGE BEETLES. Thanks a lot...I think...Really! Good Hub! Another Vote UP! Hi, vocalcoach. Yes, I'm determined to vacuum my carpets and corners more thoroughly now that I've created this hub! Thank you for the comment and vote. What an interesting and informative hub this is. I have learned so much. Didn't even know about carpet beetles. Now, please excuse me while I vacuum my carpet! Voted UP. Thanks for the comment and vote, MM. Best wishes to you too. 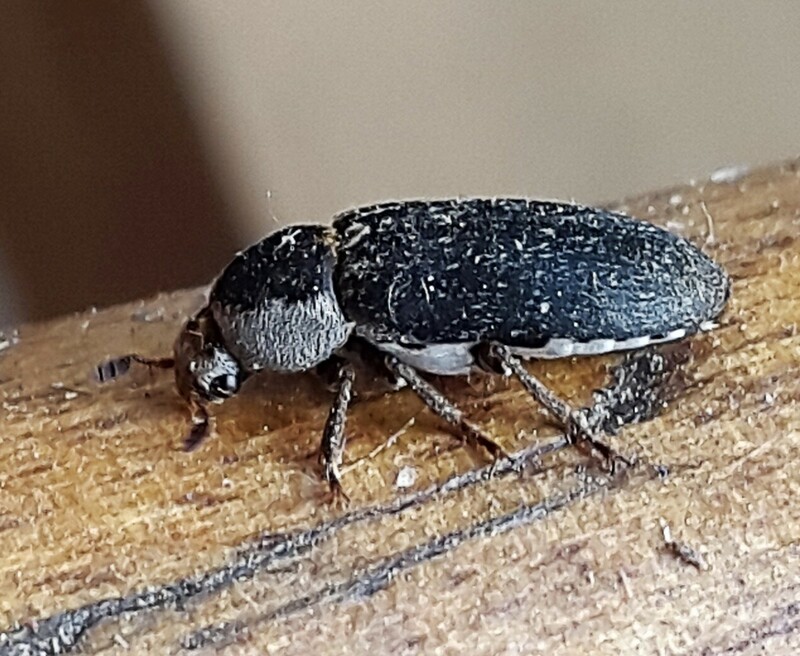 I'm sure that if I was experiencing a carpet beetle infestation I would think that the beetles were horrible too, but at the moment I find the beetles that I've described interesting, but not horrible! Thank you, Danette. I appreciate your visit. Thanks a lot, CMHypno. The lilac trilobite beetle does look like it's painted! There may be more brightly colored beetles still to be discovered, too. Thank you for the comment and the votes, DzyMsLizzy. Luckily I've never experienced a carpet beetle infestation. The infestation that happened to you sounds very unpleasant. I'm sure that museums take good care of their flesh-eating beetles in order to protect the rest of their specimens! Ohhh......ugh---when my kids were young, we had an infestation of carpet beetles. We had to evacuate the house, pets as well, for a whole day, and use an "overdose" of flea bombs. Thanks for the comment, Susan. I can see how people could think that some beetles look nasty - especially the flesh-eating beetles - but I think that they're interesting too! Nasty looking things! Very informative hub. This is one I will remember reading.